Some of my ancestors were Irish, so I have always made sure to wear green on St. Paddy's Day. When my children were small, we thought about of leprechauns and pots of gold. I miss those days. Perhaps instead of spending time on this blog, I should be spending more time trying to simplify my life. It is probably time to part with some accumulated possessions. Although not a pack rat or a hoarder, I do tend to hold on to anything of sentimental value. All of my children's past art projects, notes, stories and favorite stuffed animals fall within that category. Perhaps I shouldn't be so quick to part with things though. When I wrote an article, Five Ways to Celebrate St. Patrick's Day, I needed to submit an appropriate photo with it to Yahoo Contributor Network. The box of my kid's past school projects provided just the prop I needed. It only took me about 5 minutes to locate it. Maybe as long as stuff is organized and not taking up too much room, it might be wise to keep it after all! Perhaps I should ask another question though. Is it okay that I deceived my children when they were small? I told them a small elf must have snuck into our house on March 17th, for several years in a row, and turned our milk green. 10/4/14. 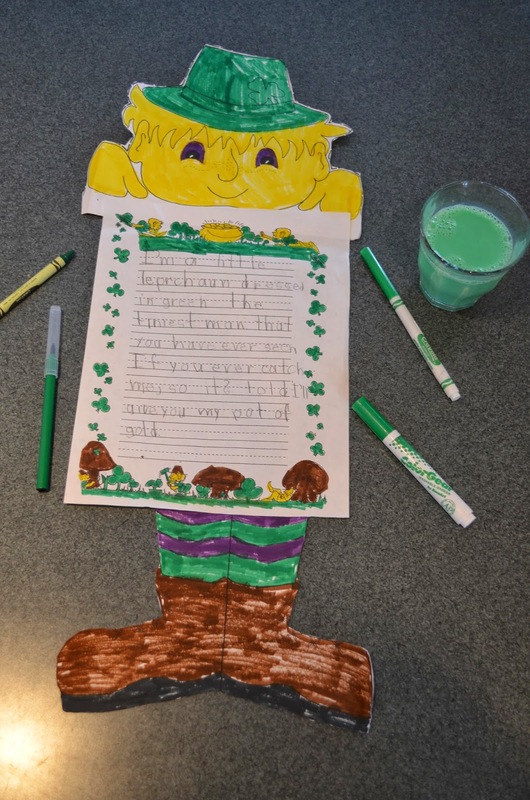 NOTE: I have removed the link to my article, Five Ways to Celebrate St. Patrick's Day, and to Yahoo Contributor Network. YCN is no longer in existence, so my article is no longer published and both of those links no longer worked. Should it be available again, I will provide the link. My apologies for this inconvenience!